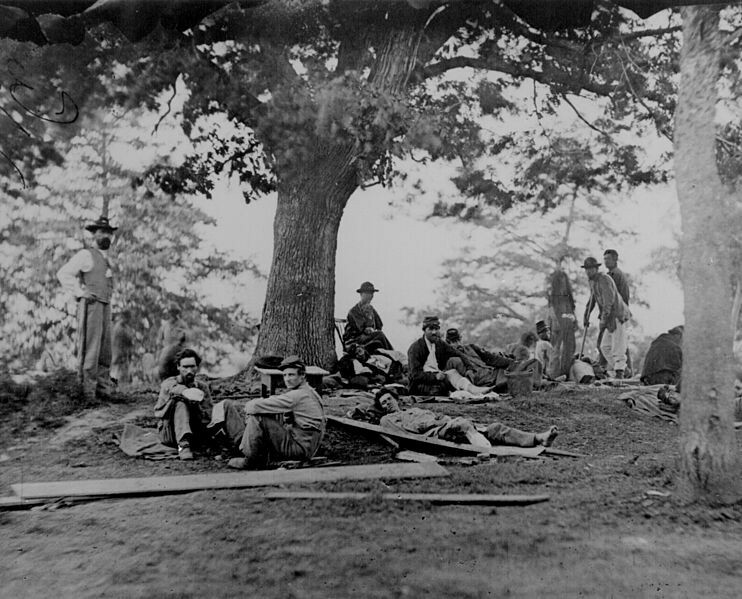 ‘Wounded Union Soldiers’ by Mathew Brady. Public Domain via Wikimedia Commons. In the following excerpt from Armies of Deliverance: A New History of the Civil War, author Elizabeth Varon answers the long-posed question of why the North entered into the Civil War. Many of these wretched victims are in arms against us. But we are fighting for them. The war for the Union and the rights secured by the Constitution is a war for their social and political salvation, and our victory is their deliverance…. It is not against the people of those States, it is against the leaders and the system which have deprived them of their fair chances as American citizens, that this holy war is waged. God send them and us a good deliverance! A modern reader might be tempted to ask: could Harper’s Weekly have been sincere? Surely Northerners had learned, after so much blood had been shed on so many battle fields, that the Southern masses were diehard Confederates, not unwilling dupes of slaveholding aristocrats. Surely Northerners had given up waiting for Southern Unionism to come to the fore. Surely Northerners no longer cherished the naïve hope of changing Southern hearts and minds. Of all the issues that keep Americans arguing about the Civil War, perhaps none has proven so difficult to resolve as the issue of Northern war aims. What was the North fighting for? We have a good answer as to why the South fought: to preserve and extend slavery and the social system to which slavery had given rise. But explaining Northern purposes continues to vex historians, in part because Northerners gave varied answers to the question. Most Northerners saw preserving the Union as the war’s central purpose, and proved willing to take measures against slavery in order to achieve that aim. But some Northerners sought to restore the Union to the antebellum status quo, and others sought to thoroughly transform the South into a free labor, egalitarian society. Did Northerners possess a common aim, and language for expressing it? 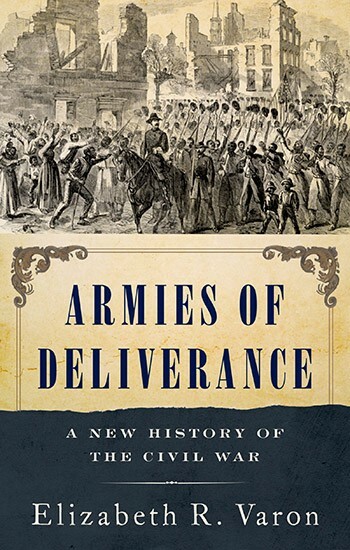 Armies of Deliverance: A New History of the Civil War offers an answer to that fundamental question. Northerners imagined the Civil War as a war of deliverance, waged to deliver the South from the clutches of a conspiracy and to deliver to it the blessings of free society and of modern civilization. Northerners did not expect white Southerners en masse to rise up and overthrow secession. But they did fervently believe that as the Union army advanced across the South, greater and greater numbers of Southerners, especially from the non-slaveholding majority, would welcome liberation from Confederate falsehood and despotism. This belief in deliverance was not a naïve hope that faded, but instead a deep commitment that grew stronger over the course of the war. That is because the idea resolved the tensions within the Union over war aims. A distinct politics of deliverance — a set of appeals that fused “soft war” incentives and “hard war” punishments, and sought to reconcile the liberation of white Southerners with the emancipation of enslaved blacks — pulled together a pro-war coalition in the Union and sustained its morale. “As the guns of Grant and Sherman shake down their idols and clear the air,” the Harper’s essay prophesied, “these men, deluded fellow-citizens of ours, will see that in this country whatever degrades labor injures every laboring man, and that equal rights before the law is the only foundation of permanent peace and union.” Grant and Sherman, symbols of hard war, also stood at the head of powerful armies of deliverance. Elizabeth R. Varon is Langbourne M. Williams Professor of American History at the University of Virginia. She is the author of numerous award-winning books, including Southern Lady, Yankee Spy: The True Story of Elizabeth Van Lew, A Union Agent in the Heart of the Confederacy (OUP, 2003), Disunion! : The Coming of the American Civil War, 1789–1859, and Appomattox: Victory, Defeat and Freedom at the End of the Civil War (OUP, 2013). Articles and excerpts from Oxford University Press exploring history and biography across the globe.